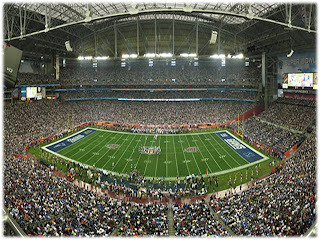 Each season, around the time the start of the playoffs, the chatter begins about the cost of a 30 second spot on the Super Bowl. broadcast. This year it’s $3M USD or 100 grand a second. For years, the NFL and large companies have danced an interesting dance of airtime versus exposure. You may remember all the dot coms who blew VC cash on a 30 at halftime on the hopes the website that had no actual product or offer would turn a profit from the exposure. Apparently, the U.S. is still limping through the worst economic downturn in eight decades yet the Super Bowl is sold out today. They somehow found enough companies to drop the coin to fill the space. But we know what airs tonight is a small fraction of the mileage each campaign will get. Volkswagen, Dell, GoDaddy, Doritos, Best Buy, Snickers and all the rest have teased, leaked, posted, repurposed, tweeted and broadcast their campaign in every other channel, for weeks. Millions of YouTube views, Facebook likes and Twitter RTs have proven how they are leveraging their $3M to those who don’t even like football and won’t be watching tonight. The point here is as business owners of any size, you need to find ways to meet your customer – at least – halfway. And your website is rarely their first destination. The Super Bowl for most is the launch of a new campaign, yet leveraging the social channels have given them weeks, maybe even months of additional momentum. And if you are still not convinced of the power of the social web, do a search on "Super Bowl" and you will find out that the official Super Bowl Twitter website (not profile) is higher ranked than the official Super Bowl site. How can all this help your business? And congratulations to Super Bowl XLV Champions - The Green Bay Packers.